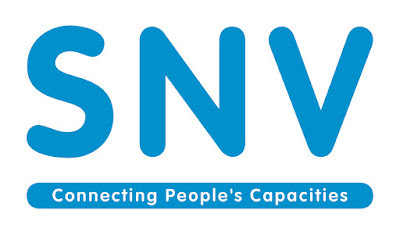 SNV is an international not-for-profit development organisation, working in 38 countries in Africa, Asia, and Latin America. SNV specializes in supporting the resourcefulness of development actors by developing local capacities, improving performance and services, strengthening governance systems, helping to create access for excluded groups and by making markets work for the poor. Our global team of advisors use their specialist sector and change expertise in Agriculture, Renewable Energy, and WASH to facilitate sustainable change in the livelihoods of millions of people living in poverty. SNV is starting its Voice for Change Partnership Programme in 2016. This five-year project, funded by the Dutch Ministry of Foreign Affairs (DGIS), aims at strengthening capacities of CSOs to advocate for a conducive enabling environment. The programme will be implemented in 6 countries: Burkina-Faso, Honduras, Ghana, Kenya, Rwanda and Indonesia. The programme's main goal is to support progress in globally challenging topics related to the Sustainable Development Goals, with a specific focus on inclusion and equity issues. This goal is to be achieved by increasing Civil Society Organisations (CSOs) capacities to participate, contribute and influence strategic debates and policy-making processes. In Indonesia, the ae two topics that will be addressed through the programme are Water, Sanitation, and Hygiene (WASH) and Food and Nutrition Security (FNS). As a part of SNV and CSOs' capacity development, SNV Indonesia and Bangladesh will be conducting the inclusive business training at Yogyakarta, on 4-7 August 2018. The objective of the interpreter itself is to simultaneously interpret the 4 days session delivered by related experts and to facilitate discussion session involving the local CSOs. The interpreter is expected to be in place from 4-7 August 2018. This contract is from 1 August 2018 to 15 August 2018. Applicants should send application to SNV Procurement (email: indonesia-procurement@snv.org) and Arti Indallah Tjakranegara (email: aindallah@snv.org) by July 15th 2018 with subject: "Interpreter for Inclusive Business Training".